I always meant to get my Curse of Chucky review up earlier but as usual I got side-tracked with other things. So here we are. Curse of Chucky is the sixth instalment in the Child’s Play franchise but this is the first one to go straight to DVD / Blu-Ray. Essentially, the story revolves around a young paralysed woman called Nica who is sent a Good Guy doll. After her mother dies mysteriously, her sister and family come to stay with her. Chucky goes on the rampage and begins killing everybody before he reveals the truth to Nica at the climax of the movie. 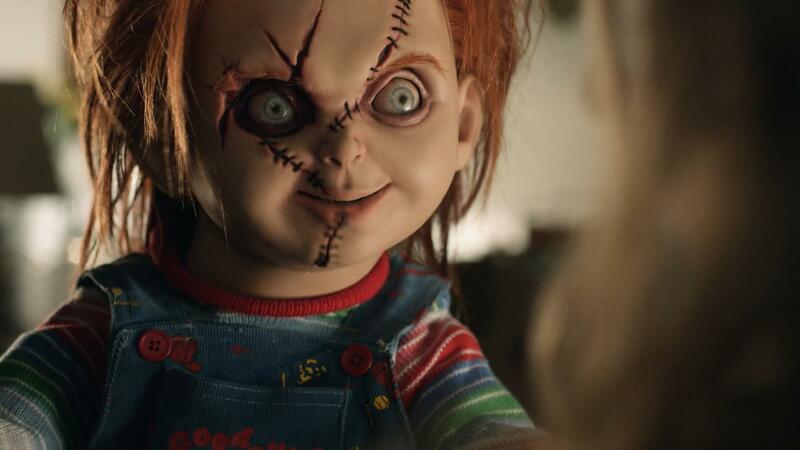 Curse of Chucky is written and directed by Don Mancini who wrote all the previous Child’s Play films and directed Seed of Chucky. For the most part, Mancini does a decent job here. The script is serviceable and does what it intends to do. As the film is direct to DVD, the budget is fairly low, especially compared to previous instalments. Most of the film takes place inside a house and I suppose the movie is more of a straight up horror movie like the first one. The cast is made up of generally unknown actors. Brad Dourif’s daughter, Fiona Dourif, plays Nica. She sort of surprised me as she plays the role really well. I also liked the little girl Alice, played by Summer Howell too. Nica’s sister Barb is played by Danielle Bisutti and her husband, Ian, is played by Brennan Elliott. Their au pair is called Jill who is played by Maitland McConnell. I find them okay and they serve their purpose. Brad Dourif returns to voice Chucky once again and he’s as wonderful as ever. The only issue I have is that Chucky hardly speaks in the film but when he does, he’s great. There’s still some witty one-liners and Chucky does his trademark laughs and shouting. There’s not as much humour as Bride of Chucky which is a shame but I guess it’s the intention of the filmmakers to make it more of a horror movie. The problem I have though, is that if you’re going to do a lower budget movie (and in turn lower money spent on special effects), the voice work needs to make up for it and there just wasn’t enough of Chucky talking. The special effects in Curse of Chucky are okay. You can definitely tell less money was spent on the animatronics. Sometimes it was a little jarring when the camera switched from a plastic doll to the animatronic doll. It was just too obvious. One thing that really did surprise me is the return of scar-face Chucky from Bride of Chucky and Seed of Chucky. They wisely kept that out of all the promo material and I’m really glad they had it in the movie. The new Chucky design was okay, but I still prefer the scar-face look. It isn’t exactly like the one in Bride/Seed but it’s close enough. As usual for a Chucky film, there are a few deaths which are quite unique and gory. The priest is the first victim though Chucky never really killed him directly. I do think the whole dinner scene was way too drawn out and there wasn’t any payoff in the end. It never really made sense why Chucky would use poison and risk killing the little girl when he needed her in the end. The next death is Jill, the au pair, which I actually really liked. There’s a great moment with Chucky is just standing there staring at her when she turns to him and he electrocutes her. Chucky then kills Nika’s sister and her husband by the end of the film. I didn’t find the film all that scary but it takes a lot to have that effect on me. There’s some subtle creepy moments with Chucky though. I guess we should talk about the endings, or multiple endings. Where do I begin? Brad Dourif actually appears in person in a flashback in Nica’s and Chucky’s final confrontation. I think fans have been crying out of this for a long time but I was never bothered about it. Following that ending, Jennifer Tilly makes an appearance as Tiffany mailing off Chucky to an address and then Chucky shows up at Alice’s home, the little girl to transfer his soul into her body. 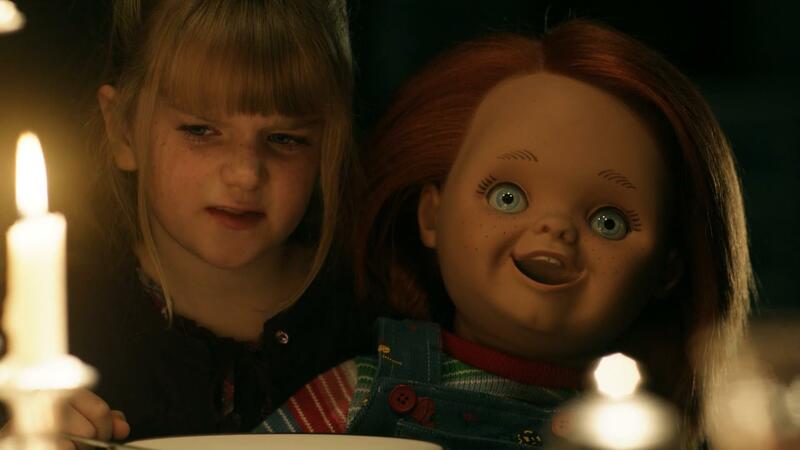 Then in a post-credits scene, Chucky shows up at Andy Barclay’s home (played once again by a grown up Alex Vincent). I can’t help feel that Don Mancini just put all these things in the movie for fan service, regardless if they made any sense or not in the story. How does having Jennifer Tilly as Tiffany make any sense to the continuity? Tiffany and Chucky have supposedly been working together since the events of Seed of Chucky? Why bother going to trouble of mailing Chucky to his targets? All just seems a bit drawn out. How did Chucky get from possessing Alice to being mailed to Andy Barclay? Then Andy pulling out a shotgun. Just too far-fetched. I didn’t enjoy Curse of Chucky as much as other people but it’s pretty much what I expected from a direct to DVD film. It’s one of the better direct to DVD films I’ve seen over the years. How does Curse of Chucky stack up with the rest of the films? It’s a far better film than Seed of Chucky and I’d say it edges out Child’s Play 3. I do prefer CP1, CP2 and Bride of Chucky though. I do miss the humour and the one-liners of the later films and hopefully if they make another one, it’ll get a theatrical release and have more of Brad Dourif doing what he does best.